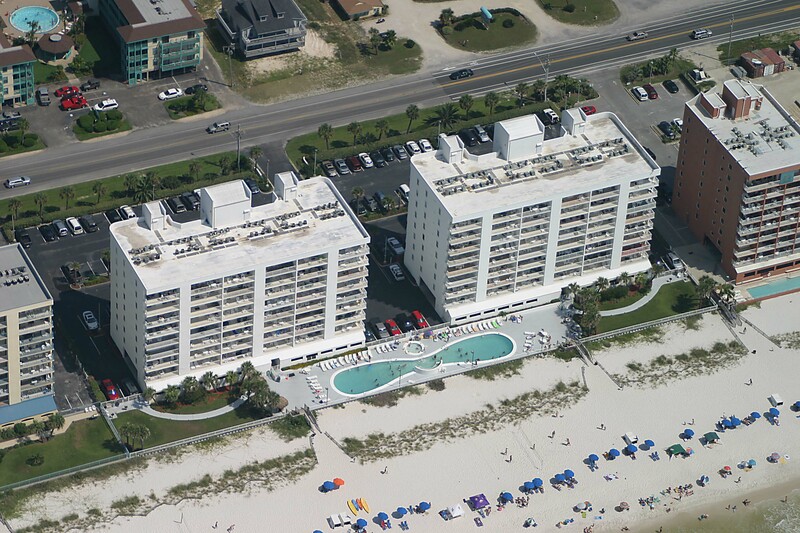 Ocean House I & II offer direct Gulf of Mexico frontage condos in Gulf Shores, AL. There are 2 and 3 bedroom units available, each with expansive gulf vies from spacious balconies. Owners and guests are able to access their units via elevator service, located in attractive lobby areas. Once inside the units, you will find a spacious floor plan and a master bedroom that faces the water. The Ocean House pool is one of the most extensive in Gulf Shores and creates a very attractive place to cool off in the warm summer sun. Each end of the pool offers zero-entry access points, which is ideal for small children. There are also shaded gazebo areas, for those who need a cooler place to relax and listen to the sound of the surf. 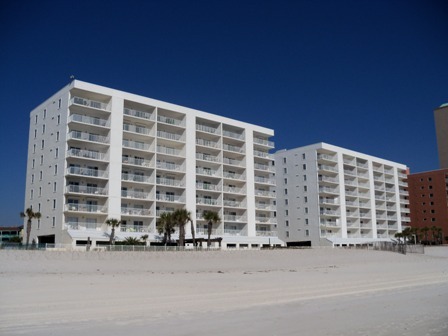 Tour Ocean House Gulf Shores AL condos for sale with the experienced sales staff of the Jason Will Real Estate Team 251-866-6464.